In a city with a thriving brunch scene and gorgeous city beaches, sun-filled weekends in summer are best spent indulging in a leisurely brunch followed by a stint at the beach. Read on to discover where you can find Vancouver’s best brunch hotspots with delicious food and excellent drinks set right on or next to the beach — perfectly located for when the occasion calls for a dip in the sea. 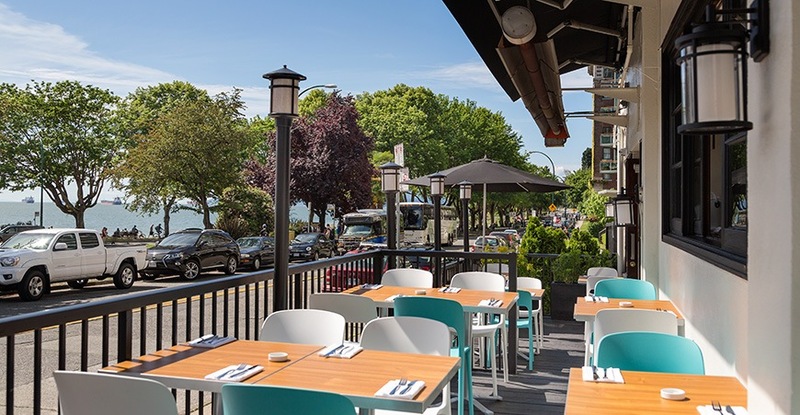 Located on Denman Street, a stone’s throw from the sandy shores of English Bay, Beach Bay Cafe is the ideal brunch destination. Not only does the refurbished corner spot grant patrons ocean views, but it also serves up a knockout brunch. 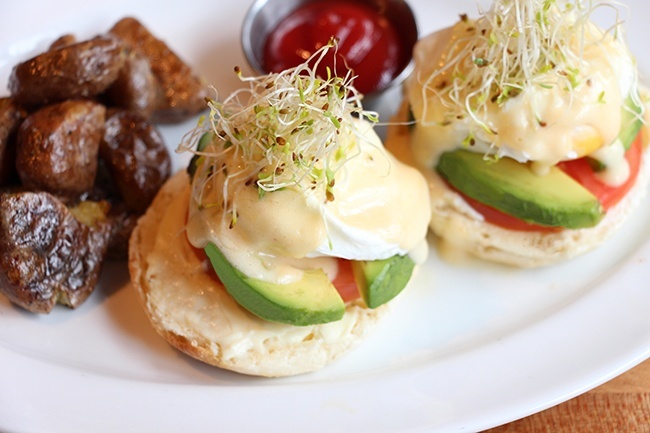 The menu ticks all the right boxes; there are breakfast items including a Yogurt Parfait, French Toast, a Smoked Salmon Sandwich, Eggs Bennies, and mimosas to complete the meal. 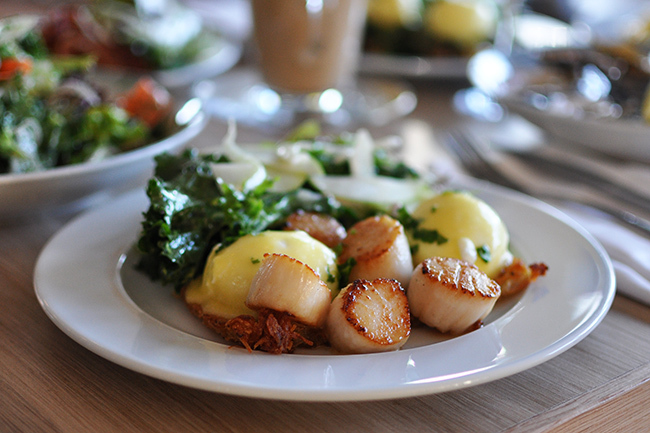 Set deep within Stanley Park near Third Beach, the Teahouse is a charming foodie destination. Come the weekend brunch goers will find a menu filled with brunch time essentials, including warm croissants, house-made Belgian waffles, a Lobster Tail Benedict, a Shrimp and Scallion Omelette, and more. The former Pirate Pub spot tucked under the Burrard Bridge is a hop, skip, and a jump from Sunset Beach. At the weekend brunch goers will find a concise menu at this new concept from Tap & Barrel, featuring French Toast, Pulled Bacon Benny, a Veggie Benny, Philly Cheesesteak Hash, Steak and Eggs, and the Tap Breakfast — TAPshack’s version of a big breakfast. The Local Public Eatery is an obvious choice but we had to include it. The casual beachside sports bar has a hugely popular patio across the road from Kits beach. It’s always packed, for good reason, so be prepared to wait for a spot. Whatever your hankering, check out The Local’s brunch menu, which features a Fried Egg Sandwich, Banana Pancakes, Steak and Eggs, Eggs Benedict, and more. Throw back the eatery’s signature El Caesar, which is served in a novelty glass boot. The Galley at the Jericho Sailing Centre is open from 9 am every day. Not only is this casual dining destination set right on the beach, but patrons will get a fantastic view of downtown Vancouver, Stanley Park, the North Shore Mountains, Bowen Island, and the Strait of Georgia. On Saturdays and Sundays look for breakfast/brunch specials, including The Galley Breakfast, Sockeye Salmon Omelet, and Buttermilk Blueberry Pancakes, available until 11:30 am.